60 Postcards – Rachael Chadwick. I saw this book in the centre of a bookshelf at an independent bookseller in Moreton. It immediately caught my attention for two reasons. 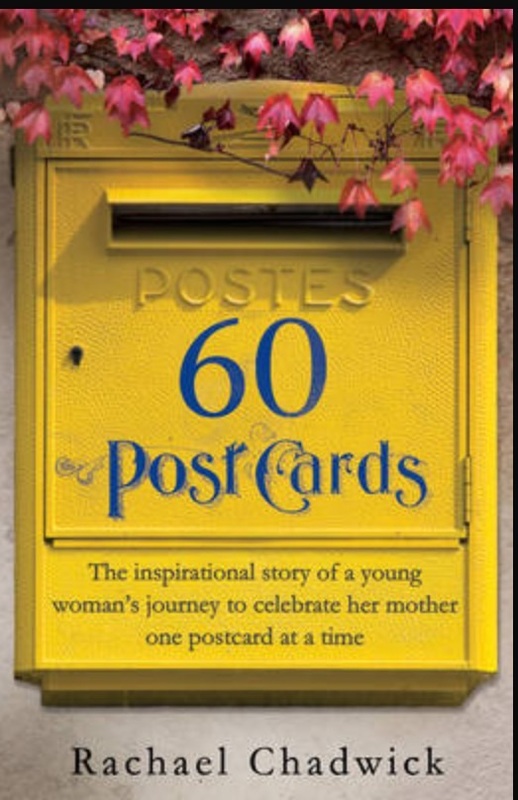 Firstly, the Parisian style postbox on the cover. Secondly, the fact that postcards are central to the development of the text. Paris is a deep love of mine and I did think I was one of the few people left that sent postcards. Naturally it appealed. I was incredibly curious! I don’t want to ruin this hidden gem for anyone who hasn’t read it, but an outline of the plot will surely tempt you in. The story starts with a trip to Paris. Shortly after we find out that Rachael’s mother has cancer and sadly passes away 16 days after diagnosis. The last birthday present she received were these Eurostar tickets to Paris. So with a group of friends she set off with a mission in mind – to spread the love and message of her irreplaceable mother, leaving hand written postcards all around the city asking those who found them to get in touch. Then she receives emails and the projects grows. A delightful touch is the selection of photographs in the centre. For someone to include photographs and the story of their family is incredibly brave and inspirational. It is becoming increasingly apparent in our every day lives that we all know someone who has suffered from cancer. A credit of this book is how it deals with it, and more importantly the focus on the legacy that is left behind. I read this book in 18 hours. Yes I know it’s sad to count! But this rarely happens. Every now and then you find a book that grips you, that takes you in and makes you a part of the plot. I wanted to hug Rachael and all the people mentioned in the book. I laughed with her, cried with her, lived every moment in that book with her and I felt the love for Paris resurface within me. I’ve not felt so compelled to continue reading for a while. An incredibly honest book, full of love. As someone who has also lost somebody close to me I related to this book in so many ways. What an inspirational way to make a tribute to someone. I almost wish I thought of this myself! So for anyone who hasn’t read this book yet make sure you do. Be armed with tissues and a postcard (instructions on the front page). I couldn’t recommend it enough. Like the gap it left in the book shelf after I bought it, it will leave a gap in your heart if you do not experience this text.